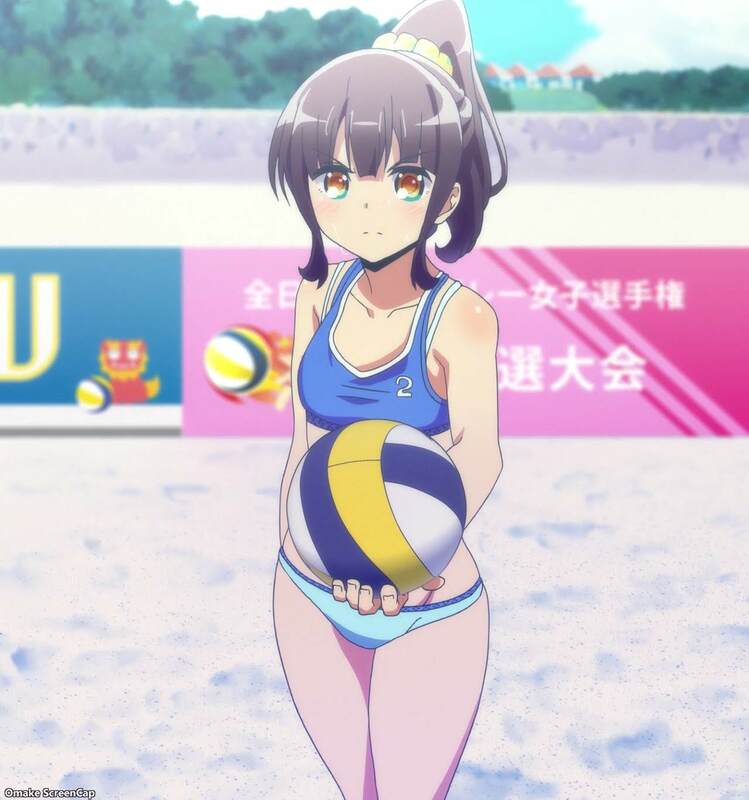 Harukana vs Eclair definitely felt like a heavyweight bout as the two sides felt each other out. This meant we needed interesting angles, ahem, to enhance the drama and suspense. The first part of the match showcased Kanata's ruthless strategy in targeting Claire to upset her focus and comfort zone. Since this foursome practices together all the time, the only things they could hide from each other are signals and tactics. 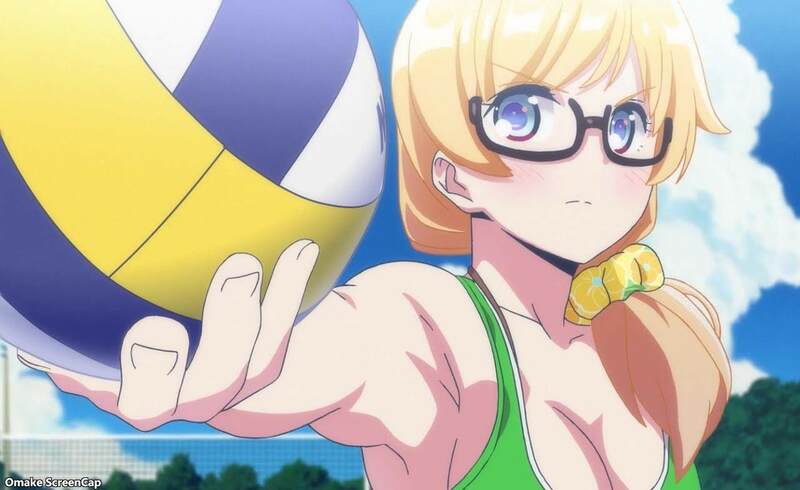 The second phase of the first game highlighted how much Kanata has grown as she threw in a bunch of jump serves, actually spiking, and shifting defensive stances. But she wasn't the only one to grow, as Emily took to the net and Claire stepped back. There are no aces in beach volleyball. "What?" Mama Marissa identified a cause of concern with her little twin pair - Emily was too passive, which could make problems for Claire if she becomes the focus for another pair's strategy. The pivotal Narukana match brought Marissa's observation into stark relief, and Emily developed herself into a trump card. But Kanata wasn't done yet with pulling out surprises. She actually used her receive as an offensive weapon to catch the opponents off-guard! 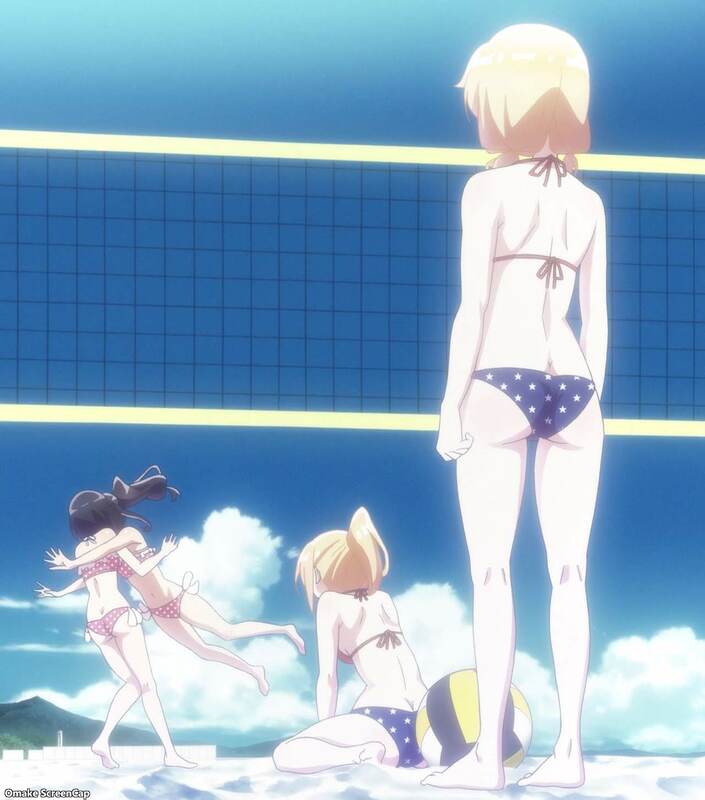 Now Eclair can't tell if Kanata is going to set Haruka up for a dump, take the point herself, or maneuver for a spike or pokey. Dangerous eyes!